YES I SUPPORT PUBLIC BEACH ACCESS FOR ALL! I do hereby pledge that the issue of public beach access and recent attempts to privatize public beaches is an issue of great importance to me. I am a supporter of keeping the beaches public and protecting and preserving public access to the beaches. I acknowledge that the lawsuit in Napeague is an attempt to restrict public access to the beach in that area and therefore privatize the beach in contention. Vehicular access is the only viable access for the public not living in the immediate area of this beach. I acknowledge that there is no public parking within 1 1\2 miles of the beach in contention. I firmly believe that a beach that only people who live near can access is a private beach, and I consider any attempt to restrict or remove vehicular access from Napeague Beach to be the equivalent to an outright prohibition of public access and hence privatizing of the beach. 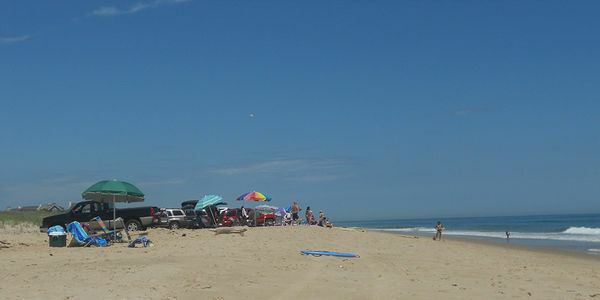 Therefore I pledge that any state or local elected official and or candidate, that does not actively and vigorously defend and support public beach access or any elected state and or local official or candidate that attempts to restrict or remove public beach access, including vehicular access on Napeague, will not receive my vote in any election in the future.